There is no way nobody knows what this movie is about. If you haven’t, then you must have been hiding under the loneliest rock in the history of forever, so this following synopsis is for you. 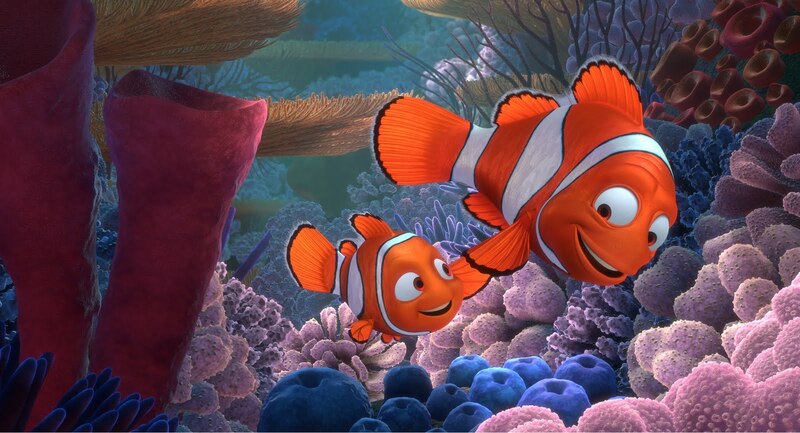 It’s about a clownfish (Marlin, voiced by Albert Brooks) who’s super scared of the ocean (for a very real reason, by the way- thank you Disney for the saddest start to any of your movies ever) and sets out to find his son Nemo (voiced by Alexander Gould) who gets captured by divers. 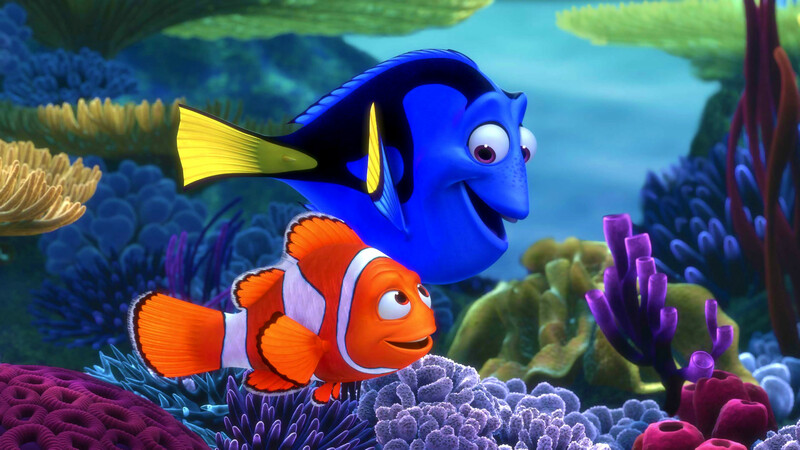 The wild, insane, and oh-so-spectacular journey ensues and every minute that passes, you find yourself rooting for a cartoon fish and his adorable sidekick Dory (Ellen DeGeneres) more then you’ve ever rooted for any fictional character in your whole life. Even with the exclamation mark I was not too thrilled with the 3D. Whenever 3D is done in post-production it barely adds anything to the experience. I noticed only one thing, and that was the floaty specs in the ocean had some depth to them. That’s it, everything else was the same. I don’t even care they did it for the extra profit, it was so nice to see one of the best Disney movies ever on the big screen. The quotes are still as funny as ever and I never realized before, but this movie is packed from start to finish in plot points. There is never a dull moment and the writing, pace, humor, dramatic points, and sequence of events are all so well done I can dare say they’re perfect. I cannot find a single flaw in them. The characters have amazing arcs, they have non-cliche personalities, and the entire thing is suitable for everyone in the family. This movie would have everyone from the toddlers to the great-grandparents howling with laughter, tearing up sentimentally, and even hearts racing when Dory, Marlin, and Nemo end up in tight spots. The story of overcoming your fears to find something (or someone) you love is simple in concept but heart breaking and uplifting in action. This story will never get old. Watching someone (or something) be able to get over a huge obstacle to gain a reward greater than could ever be imagined sounds so utterly lame when I describe it like that, but this movie will break your heart with awesomeness. And watching Nemo with his “lucky fin” try his darndest to grow past his disability is just so grand you will want to high five the person next to you and shout words of encouragement to succeed in their endeavors. Dory is the greatest supporting character of life. She is just so adorable I can’t even contain my “awww’s” as I write this. She is just so kind-hearted and full of good-will I hope it inspires people to be just the same. That goes with all of the supporting characters in this. Nobody works alone. Everyone is working toward a goal together because they know going it alone is well, lonely, and impossible. Without Dory’s help, Marlin would not have got as far as he did. And all the character’s mimic this super important theme. The shark’s who are vegetarian are in a support group to maintain their not-eating-fish regime, and the sea turtles are supportive, chillaxed surfer types who have you giggling the whole time they’re on screen. Just go see it. And if you have already seen it, go see it again. Disney Pixar makes amazing movies and while this may have just been a money grab there is nothing like seeing an animated classic on the big screen. The ocean looks way more amazing and the details cannot be lost on such a large screen. You can get lost in the story even more surrounded in the dark, the sounds crashing in on all sides as giant canvas of spectacular is being painted in front of you. The 3D may not be good, but everything else is too perfect to pass up. There are currently no comments on Movie Review: “Finding Nemo 3D”- It’s a Must-Sea…Again. Perhaps you would like to add one of your own?